On the Heinemann Podcast today, making the transition from educator to principal. What is the role of a principal and how can a principal use their knowledge to be the best head-learner they can be? 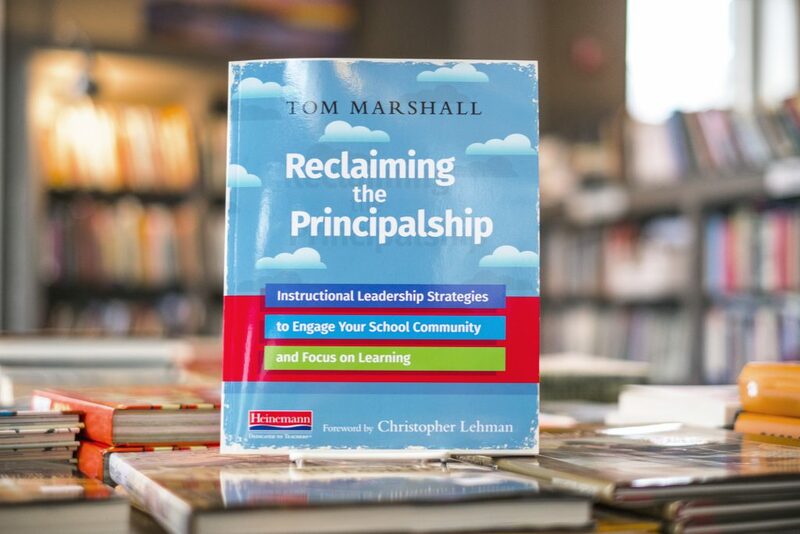 Heinemann Author Tom Marshall discusses his approach these questions in his new book: Reclaiming the Principalship:Instructional Leadership Strategies to Engage Your School Community and Focus on Learning. As a former teacher and staff developer, Tom writes about his philosophies behind effective leadership and what that looks like. Tom says that while the days are filled with decisions we can keep our focus on student-centered learning and the school’s mission. Tom writes If you approach a problem from a learner’s perspective, it’s easier to keep learning as the focus in the community. We started our conversation exploring the meaning behind what a Principal can be? Tom Marshall: The principal can be, and needs to be an expert on just what learning is. The best way to do that is to put yourself into the learner's mindset all the time. Trying to find ways that you can continue learning, because that's something that will help keep you motivated about your job, and helping everyone around you. Teachers, students, families, learning alongside you, and create what's a true learning community. Brett: How could the principal keep the teacher inside of them going, when they're running around doing so many different things? Tom Marshall: Well Roland Barth has phrase that he coined back in the 1980's called, "Head learner." And, instead of thinking of yourself as just being the one in charge of the school, to be the one that puts himself into the learners position the most, and leading by example. Some of the other moves that you can make to do that, would be to make yourself the witness to learning every day. Make sure that you're getting into classrooms, make sure you're talking to teachers, about what they're learning. Another way to do this would be to get into classrooms to coach. Teaching alongside teachers, making them feel like you're a part of the team, making them feel like you're willing to roll your sleeves up, and get your hands dirty working with kids, and showing them that it's not always easy, and that you understand that too. Brett: How can we let learning guide our decisions each day? Tom Marshall: There's so many decisions that a principal has to make every single day. From scheduling, to discipline, to personnel, and there's so many ways that you can make these decisions. But when you make an effort to put learning at the heart of all your decisions, it helps you to move the school in one direction, where everyone's learning. For example, if you're thinking about, how can you maximize the amount of time that kids are spending reading. That helps you to make smart decisions about things like scheduling, about hiring, working with kids that have special needs, and curriculum decisions. It also influences the way that you allocate space in your school, and when principal's getting the opportunity to put learning at the heart of their decisions, it makes the whole school stronger. Brett: They all gossip. It's hard, you know? Not to. But, you talk about in the book that if there's going to be gossip, maybe gossip productively. What do you mean by that? Tom Marshall: Whenever you see anything good going on, it's great to go and tell whoever will listen to you. So if you saw a student who made some sort of break through in their learning, go tell another teacher about how proud you are of that student. Or, tell another student about it. If you see a teacher that's been trying something, and wasn't quite getting it, and they just did this fantastic lesson. You should go tell someone else. Tell another teacher, tell anyone who will listen to you about this awesome thing that you just saw. But, putting yourself into this position of, "Wow, you know what I just learned from so and so?" It will help to create a positive climate. They'll know that you're going to gossip about them too, when they do something well. Brett: And you even talk about how the language that we use as principals is really crucial, and it's really important, and just in terms of how we refer to the building for example, is very important. Talk a little bit more about that. Tom Marshall: There's so much power in what we say. Yet, principals are so often powerless. They're not able to make decisions, 'cause they have to check with their supervisor, they have to check with the parents, they have to check with the teachers. There's so many people we're always checking with. One of the things that can help us bring power back to what we're doing as principals, is watching the language that we use. For example, when we call our schools, "Buildings," it sort of diminishes what we do. Important work happens there, learning happens there. It's the stuff that shapes the future. Whenever we call ourselves, "Administrators," that also weakens what we do. An administrator is someone who's there to tend to someone else's vision, and enforce it, and manage it. A leader, a principal, is someone who makes their own vision, and makes it happen. We also have to remember that the word principal was actually an adjective. The title of the job that we do used to be, "Principal teacher." It's an adjective meaning the head teacher. And, it's become a noun. When we take the word teacher out of that, it's really easy for us to forget what our mission is. That, we need to be in there learning and teaching alongside our teachers and our students every day. Brett: What are some steps a principal can take to keep learning as the focus? Tom Marshall: Well you need to keep learning as the focus for your students, for your teachers, and for yourself, and even beyond yourself. So, with students, if you create something called a learning theme, which is outlined in the book. It really is a fantastic type of metaphor that helps kids see how learning fits into their lives. We have different examples in the book about using bridges, and reflecting, and puzzles, and there's lots of great ways that you can do that. For kids to be able to also see you being a learner in their classroom, when you go in and you coach, that's another way that you can help the students, but you also help the teachers. You go into the classroom, and you teach alongside them, and you give the teachers a message that this is not necessarily easy. This is something that I want to study with you. I'm not here to see the weaknesses in what you're doing. It's not the old gotcha of the principal coming into take a look at the classroom. It's really a principal coming in to help be part of the classroom. There's other simple steps that we can do to keep our teachers learning alive. One thing that we can do, is we can make sure that part of every faculty meeting is a time for adult learning. Where we take some sort of a topic that we're studying across time, whether it's choice, engagement, or any other type of thing that we're trying to study as a school. That, we really, really pick it apart. That doesn't mean that the principal needs to have all the answers ahead of time, it just means that the principal has to be willing to open up the floor to discussion, so that teachers can help shape what the school becomes. Principals can also do something simple like, slip an article into teacher's mailboxes every Friday. With no accountability, just saying, "Here's a cool thing that you should be reading and thinking about, and how it might fit what we're already doing." Someone once said that, "The principal should feel embarrassed when they don't have all the answers." And that's just not true. 'Cause when you're acting as the head learner, you have to have that humility about you. We used to close our doors whenever we would look things up, or try to read an article, or get smarter about something. And now, we realize that you should open up your doors and let everyone see you reading, and let everyone see you learning, because that gives the strongest message possible in the school. Brett: Let's go back to learning themes. Tell us a little bit more about what they are, and how they help schools and students. Tom Marshall: So, Abraham Lincoln had this metaphor about, "A house divided," when he was talking about pre Civil War US. The country was falling apart, and it wasn't going to be able to stand on its self. This was a metaphor that Lincoln kept coming back to, in order to get his message across for what he envisioned for this country. Well, principals can do the same thing by using metaphors that are kid friendly, teacher friendly, and that can carry across an entire year. For example, one year in honor school, we had a theme about bridges. Where, they were about crossing bridges to reach new learning, cross new bridges to connect with others, and learning themes tend to have a component that's character education, a component that's about learning, and a component that's about professional development. Learning themes can be really motivating, because it's something that kids know they can keep coming back to. Teachers can naturally slip it into their language within their classroom. And, when it's treated not as something that's necessarily cute activity based, but more of kind of how we think about the way we work, it can be really, really powerful. Brett: Well, and as the head learner, principals should probably be focusing on a professional learning network, and you're right about that within the book. But sometimes it's difficult for principals to sort of get a professional learning network going. Can you talk a little bit about the importance of a professional learning network, and maybe why it's hard for principals? Tom Marshall: Principals are really alone, right? Even if you have an assistant principal or two, you're really outnumbered. In some places, you're just by yourself, and you don't have necessarily the same people that you can turn to right there at your fingertips. It's important for you to establish some sort of a network, or a learning family that will do some important work with you. When you're deciding on what your network should be about, you should think, "Well what are you interested in learning about, and who are some other people that you might reach out to that may know a little bit more about it than you, or a little bit less about it than you, but are willing to take this journey with you?" An important part of the network is, to have some face time. In our network, which is the New Jersey Literacy Leaders Network, we have five meetings a year where we meet at different people's schools each year for a full day. People come for as many hours as they can, but the network meetings always have certain components to them. We always spend time in a classroom teaching the kids, and trying things out. Watching each other teach, giving each other feedback. Principals also spend time walking through, doing what we call, "Learning visits." Looking at the entire school from a certain lens, whether that's about choice, or about the charts, or independence. The host principal can help decide what the feed lens would be, and it could be something that they're working on, or it could be something that they're really proud of. And, at the end of the day, the principals will give each other feedback. There's also time during the day where we'll spend some time reading together, talking together, about some topic that's really at the heart of what we do. Brett: It's really important to remember the school is a community, and the connections that we have with parents at home is crucial. What are some things that principals could be thinking about in terms of that connection through the community? Tom Marshall: It's really important, you know, we talk about how when Barack Obama was running for president, he called himself a community organizer. And that's something, that's a big part of what we do. We have to figure out what everyone's strength is, and try to make the most of that so that kids can be learning. So it's important that anytime we interact with a parent, we interview them a little bit, about what their strengths are, what kind of background they bring that might benefit our whole school. 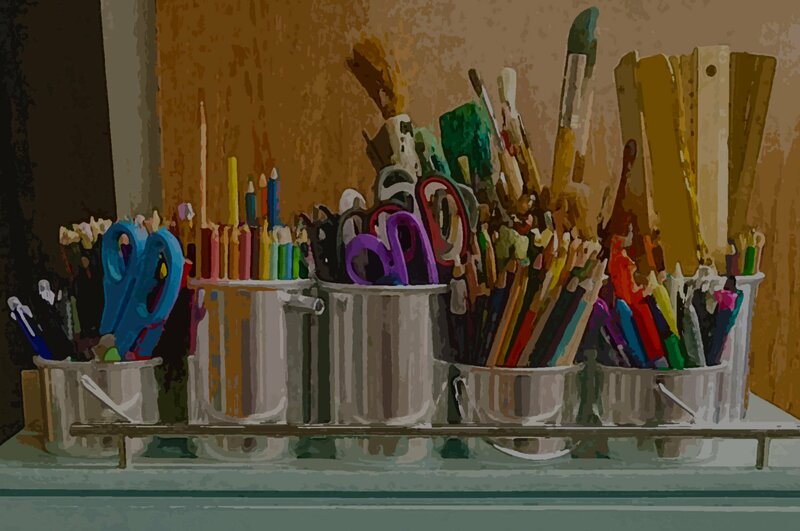 If you have a parent who is an artist, maybe you can tap into that. If you have parents who are interested in coming in and showing the student's something, you want to make the most of that. Because, you don't want to make it feel like the doors are closed. You want to make it feel like this is everybody's school. You want to make it feel like everyone has a say, and a venture in kids being successful. Every parent wants to be part of their child's learning and their child's life, and this is probably the best way. Part of what a principal can do, is orchestrate that so that families feel like the school is their own. Sometimes people feel like it's a burden to ask parents to do things. But really, we need to kind of flip that mindset and say, "No, it's really about making parents feel like this is their school too. Brett: You have a lot of tools that principals can use, there are ready use tools in the book. Can you talk a little bit more about some of those? Tom Marshall: In the book we have different lenses for walking through the school together with others, and looking at the school for areas of growth. Some of them include listening in on the conversation, who owns the talk, right? Who owns the talk in the classroom? Is it really the students, is it the teacher? What's the nature of the talk, what's the depth of the talk? There are others including looking at a scale of teacher control versus student independence, and thinking, "How much is the teacher letting the students control what's going on in the classroom?" In the chapter on evaluation, there are some sample conversations for goal setting in the beginning of the year with teachers who are not compliant, or compliant, or engaged. And some of the tools in there are really great for setting goals with teachers at the beginning of the school year, and setting them up for how evaluation's going to make them grow. There's also tools in there for the important work of coaching teachers, and deciding, "What do you have to offer as a principal, as a coach? What can you help teachers study, and learn?" There's a staircase of learning, where the principal can think about, "Where is this teacher in their learning about X? And, what kind of expectation should I have about that as I go in and do observations, as I go in and do walkthroughs? Are they in the beginning of their career, are they sort of advanced with that? Are they in the beginning of learning some new initiative, or do they have more experience? Are they really creating new learning for the rest of the school?" The tool in there can help you decide that as you go in to observe the teacher. Brett: Tell us about how we can nurture the learner inside of us. Tom Marshall: It's so important for a principal to live like a learner, and nurture the learner within. The last chapter of the book actually is all about that. A couple of things, one is pretty standard, is engage in professional reading, and think about how this reading can influence your practice as a leader, or practice as a teacher, or help your teachers practice. You could also engage in reading that's not professional in nature, and try to think, "How can this have an impact on what I do in school?" Sometimes what happens is, we forget while we're making magic during the school day, it's important to write about it. 'Cause when you write about your work, and your practice, it can help to memorialize it, and it can help you crystallize what you're doing so you understand it better. One thing that principals can do is get a professional writer's notebook, and just write down things that happen. Whether they're qualitative or quantitative in nature, and then kind of go with those ideas. Who knows, it might actually become something that becomes published, whether it's as a workshop, as a keynote, an article, or maybe even a book. 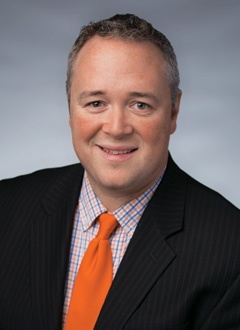 Brett: I really want to think about, or talk about that principal whose maybe in the beginning part of their role as a principal, and that transition. What happens in that transition, how they can kind of keep their hand as the head learner, and get the impression that, that transition is difficult at first? Tom Marshall: It's really hard when you're first moving, because you have a high expectation of yourself, 'cause you want to be the expert, and live up to everyone else's expectations of always having the right answer. And then you quickly realize that it's not like that. Principals don't have the right answer to everything, and it's okay to forgive yourself for that, and to give that message that you're asking for the input of all your stakeholders, of the teachers, and the families, and the students in making decisions. When you first begin as principal, you have to decide that you really want to still be this head learner, this teacher at heart. There's a phrase that says, "You have to have a learners soul, a teacher's heart, a staff developers mind, and an administrators hands." And that's the perfect recipe for a good school leader. There's a lot of good things about being an early career principal, because it gives you a really good excuse to sort of drop everything and teach. "Do the tour," is what we call it sometimes, where twice a day you just drop whatever you're doing no matter what you're in the middle of, and just go in and out of every classroom, and witness learning. Even if it's for 15 seconds, and just throw a compliment of someone of like, you notice how hard they're working on something. It also offers you a good excuse, and some good credibility to the teacher's that you're leading to say, "You know, I miss the classroom already and I really want to get in. Can I borrow your kids for a little while and just teach them? Can you give me feedback?" It opens up a lot of avenues to building trust, and building relationships within your school. I also think that early career teachers, and early career principals are sort of like ducklings when they hatch. They imprint, and the first thing they look at is what they think teaching, and what leadership is. If there's a new teacher who is kind of starting their career off in a school that's very union heavy, or very learner centric, that's what they become. That's what they think teaching should be. Principals are the same way. We are exposed to the kind of culture in our district, and if we're conscious of that, if we see something that we don't agree with as far as the culture, we can help to change that by being this head learner.